Birth injuries can be mild, such as minor bruises. Injuries can also be severe and include permanent brain damage or death. Marks from forceps are a common injury suffered by infants during labor. While this causes minor bruising in most cases, it can lacerate the scalp and cause severe skull damage in extreme cases. Caput succedaneum is the swelling of an infant’s scalp that often occurs as a result of vacuum extraction. Another type of injury, which infants are susceptible to, is the fracturing of the clavicle due to breech deliveries. In most of these situations, the baby recovers quickly after the bone has been immobilized. According to the US government’s Healthcare Cost and Utilization Project (HCUP), there were 157,700 birthing injuries to mothers and newborn infants in 2006. The agency states that these injuries could have been avoided. Not all birthing injuries are preventable; however, some are due to negligence on the part of the physician, or other medical personnel assisting in the delivery. Medical malpractice is defined as the failure of medical staff, or a healthcare institution, to provide reasonable care. When delivering a baby, this failure can result in several problems. First, the mother or the infant may become injured during pregnancy or childbirth. A second problem is when a child is born due to failure of avoiding, or terminating a pregnancy. Each claim has different rules regarding who can seek damages, and the amount that can be paid to plaintiffs; however, award sizes are based on the severity of the injuries. If the infant was injured during labor and delivery, then the parents can sue, demanding general and special damages. The parents may ask that the negligent party provide compensation for their child’s diminished quality of life and pain and suffering. They may also seek damages for emotional pain and suffering that they have undergone due to their child’s injury. Negligence by medical professionals can be categorized into certain failures, such as not anticipating delivery complications. 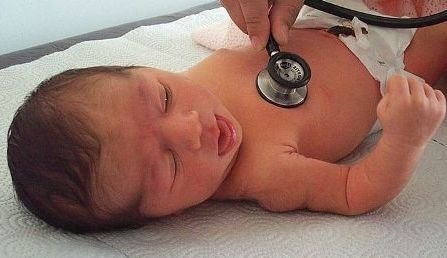 For example, it is essential that the mother’s blood pressure is monitored during delivery. If a negligent doctor fails to monitor her blood pressure, the mother may have a seizure due to preeclampsia (a condition signaled by high blood pressure). The doctor may be liable for any resulting injuries. Another failure by a doctor is to hesitate before ordering a C-section. Also, some negligent doctors incorrectly administer the drug Pitocin, while others fail to monitor an infant’s intake of oxygen before and after the delivery. Parents should consult a medical malpractice attorney if they believe that their child has been injured due to negligence. They should also consult an attorney if the mother was injured during the delivery. Due to the complexities of medicine and the laws related to it, a lawyer specializing in medical malpractice and birth injury case is essential. The attorney will review the client’s medical records as they evaluate the claim. The attorney may also consult with knowledgeable doctors and nurses to determine who is at fault. Charity Bailey is an Environmental Studies major and advocate for positive social change, such as raising awareness about birth injuries.